Abdelwahab Kharab is an associate professor in the College of Arts and Sciences at Abu Dhabi University. His research interests include numerical analysis and simulation for the numerical solution of partial differential equations that arise in science and engineering. Ronald B. Guenther is an Emeritus Professor in the Department of Mathematics at Oregon State University. His research interests include mathematically modeling deterministic systems and the ordinary and partial differential equations that arise from these models. 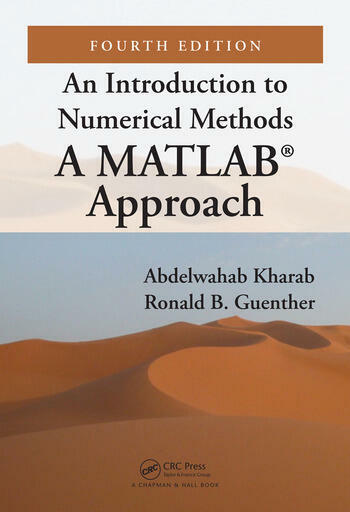 "Kharab and Guenther offer an attractive, clear, error-free, and well-written introduction to numerical methods … Highly recommended." 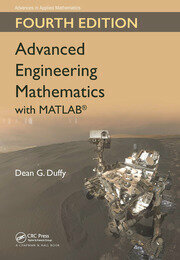 "An Introduction to Numerical Methods: A MATLAB Approach" provides a solid introduction to Numerical Methods. The book is easy to follow and most of the numerical methods are included making it ideal for students with little prior knowledge on the subject. The mathematical theories and explanations are quite easy to understand, several accompanying in-depth examples are provided, and most of the content is shared in a simple and direct manner. 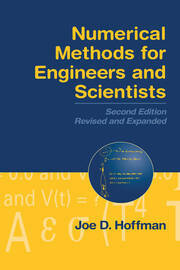 Overall, this is one of the best numerical methods book that I have come across. I strongly recommend it to be used for any undergraduate introductory course in numerical analysis for science and engineering students."